Canberra | Australia -- In the lead up to an expected report from the UN which is likely to recommend investigations of genocide, crimes against humanity and war crimes against top Myanmar military brass, Australia is considering targeted sanctions in response to atrocities committed against the Rohingya people in Myanmar. As a regional partner, Australia will continue to support efforts to achieve democracy and national peace and reconciliation for the benefit of all of people in Myanmar," Payne further added. Canberra | Australia -- Given that our relative wealth and strategic position in the region are diminishing, the aptly named ‘Asian century’ brings with it a challenge: Australia needs to get real, seriously real, on defence spending, especially in the maritime domain. Governments say that the defence and security of Australians and Australia are their highest priorities. Conversely, disinterest and lack of knowledge lull the public into thinking that we’re now actually spending as much as we need to. People are focused on things that affect them every day, such as jobs, health, education, welfare and housing. Those things cost real money. That’s what determines votes, and therefore who governs. However, unless we make a step change now, defence and national security threats will begin to affect Australians’ daily lives, with ruinous results. Tax cuts and budget frugality sound great, but the consequences of spending too little are dire. The 2017 foreign policy white paper has a diagram of GDP forecasts to 2030 for Australia and key regional countries. It shows that we’ll be much weaker in economic power relative to our neighbours. The paper notes that the defence capability edge we have enjoyed will shrink significantly. The government’s response, the paper says, will include delivering a more capable, agile and potent ADF, with a particular focus on modernising our maritime capabilities. The key word here is ‘modernising’. Yes, we’re doing that, but from a low base. Despite excellent people and platforms, the Royal Australian Navy is just too small, too limited and too dependent on the United States to fight and win a major battle at a distance. Under current procurement plans, Australia can provide a degree of independent maritime defence near our coasts, but there’s little ability to deter adversaries at a distance across the Indo-Pacific, impose our will on them or cause them strategic stress within their own territory. Uncertainty about future US intentions remains, but even so, depending so completely on another nation is hardly sensible, as we have learned before. I wrote earlier in the year that a clever Australia needs a larger, more potent navy. I also wrote that spending 2% of GDP on defence each year won’t cut it. The stark reality is that our worsening strategic situation means we probably need to be spending around double that, or $60–70 billion a year. Because of the maritime nature of our region, the bulk of that increase needs to go towards enhancing the size, persistence and lethality of the navy, including providing a maritime air capability via the air force. That will require a significant boost in personnel numbers, and people are expensive. We also need to establish some strategic depth and influence in the region, showing strength through intent. As has been alluded to recently, we should build and operate a naval base on Manus Island in Papua New Guinea, as we once did, and on other islands in the Pacific, to assist those countries economically and also to send a clear message. Voices in the RAN’s senior leadership are talking of concentrating on our north and the islands of the Pacific. That’s very sensible, but I am deducing this is code for ceasing our longer-range coalition activities, especially in the northwest Indian Ocean and the Middle East, because we just can’t do both. However, as a nation surrounded by sea and economically dependent on distant maritime trade and a globalised laws-based system, we probably should. To be strategically consequential at sea, we need to have the ability to project power via capable surface and subsurface action groups. With the RAN’s current force structure, we can probably support two surface action groups, for a short period. But given our extensive maritime geography, a compelling case can be made for maintaining at least five. An action group consists of around five surface platforms, plus submarines and a support ship. Each group must be capable of air, surface and subsurface dominance, taking the fight to an adversary, or deterring that nation from action in the first place. The uncomfortable fact is that we need a much larger navy. As we move towards 2030 and beyond, 12 combat ships, 12 submarines, 12 offshore patrol vessels and no air capability at distance just doesn’t cut it. In essence, this gives us less capability, relative to others in the region, than we had back in the 1970s. For a start, we need more ships of every class that’s scheduled to be built. As a first sign of intent, the government should stop the planned decommissioning and sale of the last two upgraded Adelaide-class guided missile frigates, the Melbourne and the Newcastle. I estimate that these ships have about a third of their hull and engineering life left. They are excellent multirole platforms, equipped with advanced missiles, tactical data links and modern systems. They are force multipliers. 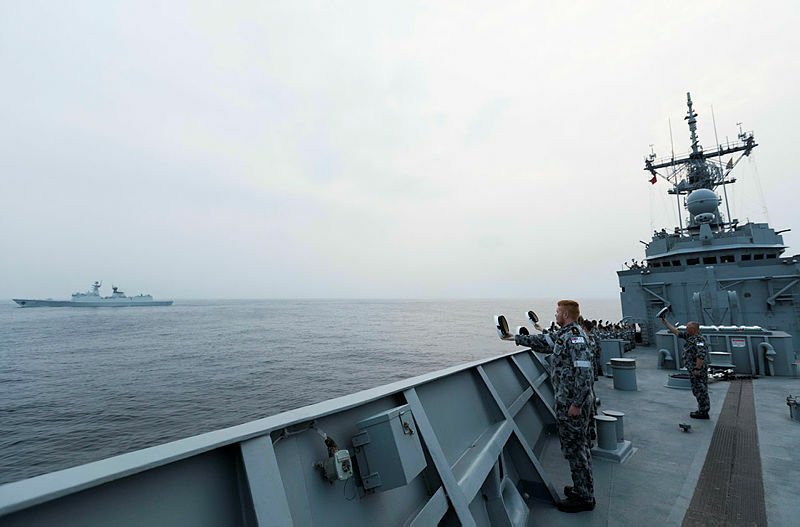 At a time when Chinese intentions in the Indo-Pacific are obvious, these excellent ships offer much into the future, just a few years after we spent a considerable amount of money upgrading them. My guess is that we’re selling them because we can’t crew them and can’t afford to run them. The budget doesn’t allow it. It would seem that strategic need wasn’t factored into the decision to sell these ships. This shows that the navy and the Department of Defence just don’t have enough people or money. The navy is too small, in both people and capability, with a structure based on a budget that’s also too small. Linking defence spending to a percentage of GDP isn’t the answer. Despite the modernising programs and money currently allocated to building new ships, we need a navy and a defence budget that are based on strategic need. Author: Richard Menhinick had an extensive career in the Royal Australian Navy, including commands at sea, ashore and on operations. He has also worked in strategic analysis and policy formulation. Image courtesy of the Department of Defence. Canberra | Australia -- Scott Morrison has begun the spring election sprint that will be the shortest election legally possible under Australian Election law, just 33 days. Morrison emerged from the Government House Tuesday morning, confirming he had asked Gov. Gen. Peter Cosgrove to dissolve both houses of Parliament for a general election to be held Saturday May 19th. "This is no time for risky plans that could harm our future," he added. "It is time to stay the course and stick to our plan," Morrison said. 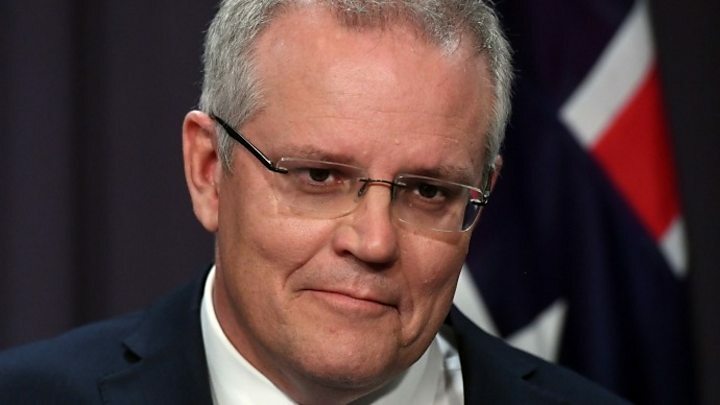 Pressed by reporters why he launched the campaign so far in advance of the fixed election date for the House of Representatives which boosts the cost to taxpayers, Morrison said: "Everybody knows the election date and the campaigns of the other parties, as near as I can tell, have already begun." "I feel very strongly...that those campaigns need to be conducted under the rules of the law. That the money come from the parties themselves, not from government resources, parliamentary resources or taxpayer resources." "In terms of the advantages this party has, in terms of the fact that we're a better financed political party, a better organized political party, and better supported by Australians — those advantages exist whether we call this campaign or not. "What we do by calling this campaign is making sure that we are all operating within the rules and not using taxpayers' money directly." After his visit to the Government House Morrison travelled to Sydney for a rally with supporters and local candidates. A group of protesters were waiting outside Morrison's event in Sydney, chanting anti-Morrison anti-Harper slogans. One was led away by Australian Federal Police and was heard by ABC News to say "I was joking, there is no bomb." Police then cordoned off the sidewalk and asked demonstrators to remain on the other side. Inside, Morrison gave his first stump speech of the campaign, touching on his now-familiar themes of national security and sound economic management. He dismissed Shorten as not being up to the challenges ahead. The friendly, partisan crowd chanted "majority." Speaking in Melbourne Labour leader Bill Shorten also stressed the economy as a defining issue of the campaign. "Australians have a clear choice," he said. "Three more years of Mr. Morrison and the Liberals or my plan for change." "We will kick-start the economy and get Australians back to work. This is our number one priority," he said. "Wages are falling, incomes are stagnant and household debt is skyrocketing ... middle class families are working harder than ever but can't get ahead," Shorten said. Unlike Morrison, Shorten did not take any questions from reporters. Most recent polls have shown Shorten and Labour leading or in a virtual tie with Morrison and the Liberals. Green Party Leader Richard Di Natale launched his campaign in Melbourne as well, where he aimed his pitch at middle-class voters. "If people want change in this country, it is because the economy is not working for them," he said. also used his speech to take swings at both Morrison and Shorten, saying the Liberals plans have "failed" and Shorten is a "mirage." "You want change that works for you," Di Natale said. Di Natale also chastised Morrison for the length and timing of the campaign. "What isn't right is to claim that the taxpayers aren't subsidizing this election. It's going to cost Australians tens of millions of dollars more," he said. Canberra | Australia -- After newly reelected President Joko Widodo released a fiery speech announcing his intention to block the importation of waste materials to Indonesia, shock waves were sent through the Australian waste management industry as the possibility of losing another export location following China's implementation of similar rules just short years ago was realized. Shortly after the announcement by President Joko Widodo the National Waste and Recycling Industry Council which is a body of waste management companies that operate in Australia met to discuss options in response to the potential measure that could be imposed. "The NWRIC convened an emergency meeting to allow for the consideration of a variety of options and responses to the sudden and unexpected policy shift by the Indonesian government. During this meeting stakeholders voiced concerns and possible solutions to the sudden challenge the industry is facing" said Rose Read the Convenor for the NWRIC. Following the closed door meeting the board of the NWRIC, which is comprised entirely of high level waste management company executives held a press conference. Currently the government of Australia has not issued a statement on the issue, nor has the Indonesian government. Australia Withdraws From Border Renegotiations With Indonesia Citing "Uncreditable Claims"
Canberra | Australia -- Following a settlement reached with Timor Leste on the Greater Sunrise gas fields in march of last year Australia opened the door to a renegotiation on the Australian-Indonesian maritime border. Following this officials from Australia and Indonesia have met various times to discuss any possible changes to the border however little has been publicly mentioned until today. Senator Marise Payne announced that the Australian government would be closing the door on any further discussions regarding the maritime boundary following over a year of "unproductive talks". Labour Leader Bill Shorten called the move "disgraceful" during an answer to a member of the press during a campaign event. "This certainly hurts Australia's image on the world stage, it's yet another disgraceful manoeuvre by this Liberal government" said Shorten. He did not promise to reverse the position if elected to government however. At press time the Indonesian government had not issued a statement on the matter.